A statement of serenity and calm. A modern refined and sophisticated approach to dining Indian in an intimate and relaxed surrounding. 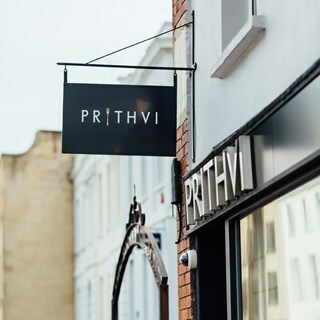 Prithvi, a boutique restaurant that offers no curry's opened its doors in the spring of 2012 - ordinary and inexperienced. With the will to do extraordinary things in Cheltenham and in less than 2 years, we have surpassed even our own imaginations. Our culinary style is both - cleverly simple and incredibly refined. Everything that seems ordinary hides a delightful twist. Outstanding meal!!! We cannot rave about our multi course tasting menu enough. Although expensive the food is excellent. The whole dining experience at Prithvi is one of the best I have encountered. Our first visit to new location, it  is nicer than Bath Road roomier and better laid out, the lounge is a plus. Quality of food and explosion of tastes outstanding as normal this is high end eating at its best. The after meal treat to celebrate our 45th Wedding Anniversary was a lovely touch - thank you. Execellent all round - pricey but the level of service and quality of food is a reflection of this. Very tasty and unusual fusion food. Excellent service and attention to detail. Individual courses on the a la carte quite expensive better value to have tasting menu which looked delicious. 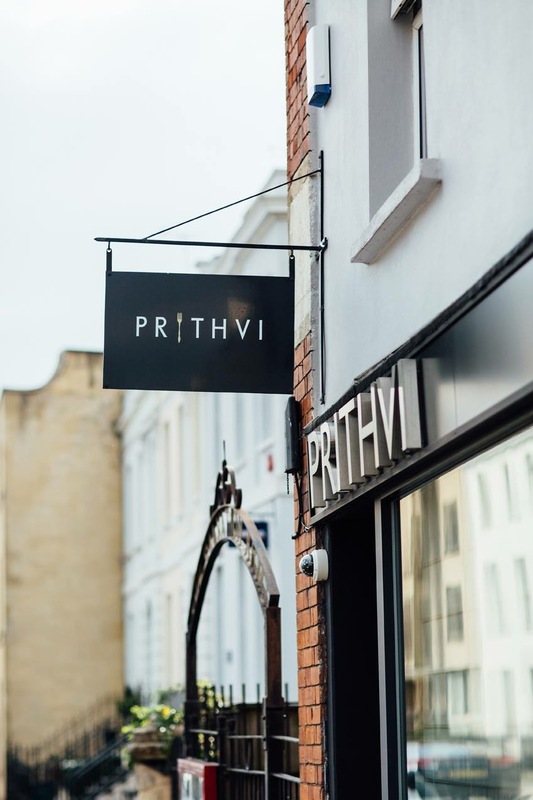 Dinner was exceptional and we would highly recommend Prithvi to anyone wanting to celebrate a special occasion or just have a truly amazing meal. Superb evening once again, thank you! Just deducted one star for service as it took a very long time for our pre-dinner drinks to arrive after ordering, but otherwise excellent throughout. Food and service was excellent. Lovely decor. The food and service was exceptional. The noise in the restaurant was sometimes annoying but that was mainly due to the loud/rude people on an adjoining table. Beautiful food. Beautiful presentation. Staff very attentive. We had a really lovely evening - great food and amazing service. The scallops starter was fantastic! Extraordinary experience. Everything, from the initial welcome at the front door to the last bite of the second dessert, was perfect. How on earth do you get the mallard to be so tender and so tasty? This was our first meal at the 'new' Prithvi in Pittville, and we were concerned that the move from the old premises may have adversely affected standards of food and service, but to the contrary, the new premises are beautiful and welcoming, the service is smooth and professional, and the food, ahh, the food! Can't wait to come back! My wife and I had a meal at Prithvi for our anniversary as we do every year. The meal and service were impeccable as always. The food is always different every time we visit and it is nice to have an amazing Indian meal that is not a traditional curry. The venison was particularly good. The new place is equally fantastic with the restaurant situated in an orangery which gives a great atmosphere alongside the open kitchen. The only improvement that could be made is the payment system. As we paid by card, we were disappointed that we couldn't leave a tip for excellent service we received as we typically don't carry cash. In many other places, the card machines give the option to add a gratuity before entering the pin. This would be a good addition to allow patrons to show their appreciation for the great service. Excellent service and wonderful food. Thank you!